This one is for all you knitter fans! 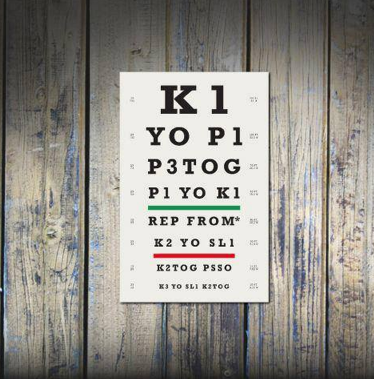 Test your vision with this knitter’s eye chart…and practice your stitch abbreviations too! Genius.